Basic condition, including flexibility, strength and agility training, is a prerequisite for speed training. The completion of basic conditioning is signaled by a level of fitness that allows the athlete to begin the more intensive exercises that develop explosive power. Exercises for developing explosive power are detailed in “Chapter 2: Power” and the execution speed section of this chapter. Once the target muscles start to develop, begin working on skill refinement. Each skill should be examined to eliminate unnecessary movements and increase biomechanical efficiency. With highly refined movements and strong muscles, you can begin adding speed to each movement. Start skill loading gradually and observe your body’s reaction. If you can add speed and still maintain semi-refined movements, continue to increase your intensity. Eventually you will reach the final stage of speed training in which you can execute skillful movements at high speed. Now let’s examine the four types of speed individually. Perception speed can be increased by repeatedly exposing yourself to situations that require instant analysis. Law enforcement officers do this by participating in mock confrontations that require them to quickly analyze who demands to be responded to and how. The best drill for developing perception speed in martial artists is sparring. Sparring teaches you what an attack looks like before it happens. Sparring also teaches you to be alert at all times by placing you in imminent physical danger. Alertness is one of the keys to perception speed. You cannot analyze the situation if you do not realize it exists. Reaction speed is improved by a two pronged approach. First, you have to be aware of what types of situations may arise in any given environment. In sparring, your opponent does one of several things which are predetermined by the rules of the sparring match. You know in advance what is allowed and what is not. In a self-defense situation, you also have some idea what to expect. You can reasonably expect your assailant to try to harm you in some way. You do not expect him to start singing songs or reciting poetry. By estimating what to expect from the given environment, you narrow down your choice of possible responses. Second, you have to have experienced an identical or similar situation before. 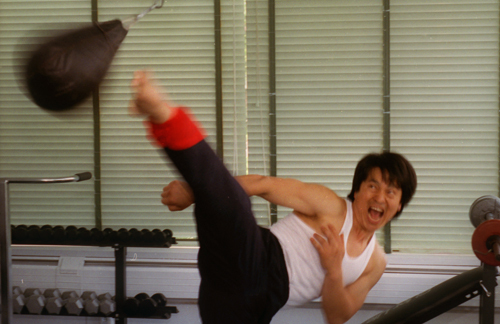 If you have been attacked hundreds of times by a front kick in sparring, your reaction becomes almost reflexive. If you are sparring for the first time, your reaction time is longer because you must formulate a response without a basis for comparison. If you have practiced self-defense techniques in a realistic way hundreds of times, you are much more well prepared than if you spend all of your time beating up a stationary heavy bag. Execution speed is the type of speed that most martial arts training focuses on. 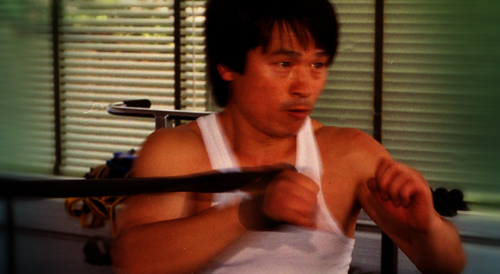 Executing techniques like kicks and punches with speed takes up a large part of the intermediate and advanced stages of training. Execution speed can best be improved through attention to detail. Shifting into a ready posture at the last minute wastes time. Begin each movement with a ready and relaxed posture. If you are going to punch, have your hands up and ready. If you are going to kick, shift your weight to supporting leg and relax your kicking leg. Shifting your weight and positioning your hands can take more time than the actual striking or kicking. Anticipate what is necessary and be prepared. When you learn a new skill, practice slowly at first to train your muscles in the correct execution of the movement. When you can execute with little thought about the segments of the movement, speed up gradually. In speeding up the movement, take care not to loose the precision you learned in the beginner stage. Strong basics are essential for speed training. Observing the laws of motion is also important to execution speed. If you flail your arms and head wildly about when kicking, your kick will be slow. If you stabilize your posture, your kicking speed will increase. If you punch with your arm, your punching will be slow. If you punch from your hips, your punching speed and power will increase. If you spin with your upper body tilted to one side, you will lose kick, however, creates a continuous circle of whirling force, increasing the speed of the second kick. Finally, relax to create speed. Tense muscles have more difficulty responding to your intense demands than relaxed muscles. Relax just prior to the movement and maintain a minimum amount of tension during the movement. Relaxation conserves energy and lessens the amount of force necessary to move your body quickly. Recovery speed is the result of execution speed. The old adage “what goes up must come down” applies in other directions as well. If your fist shoots out in a punching motion, it must return along the same path to be efficient and effective. If you execute a side kick and drop your leg to the ground immediately following impact, you will be off balance and in danger. You must rechamber the leg and then return to a natural stance. If you do not execute the recovery portion of the technique, the action becomes “dead.” It does not have the dynamic quality associated with speedy movement. It also increases the risk of joint injury tremendously. A fast strike or kick that ends in a locked out position is a common case of knee and elbow injuries. A complete technique has an initiation, execution, impact and recovery. Each phase must be executed correctly to create dynamic speed. Never use complex skills for speed training. Always master the basics before moving to speed training. Never tense your muscles before executing a speed skill. Muscles must be well trained before engaging in speed training. Weak muscles that cannot bear the intense requirements of speed training are be easily injured. This entry was posted in Fitness and Training and tagged article, fitness, speed. Bookmark the permalink.